There are many reasons for remodeling your home. Many people live in the same home for many years where structural as well as aesthetic changes can occur. Deciding to remodel is a big step for some people for differing reasons. 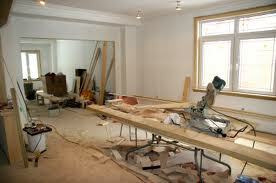 Remodeling may be as simple as painting and changing the woodwork or as much as adding on to the existing structure. 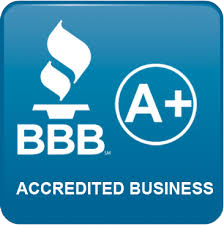 It is important that when remodeling your home that you hire a company that knows and understands your needs. Growing families need more room to be comfortable and safe. Young couples don’t usually think of the room that they will need as their family grows. It doesn’t take long for a six member family to want two bathrooms instead of one. If there is just one bathroom, then remodeling and adding an extra one can makes a world of difference in keeping the peace in many homes. Another reason given for remodeling is due to structural changes that occur over time and with temperature changes to your home. Many homes settle over time causing problems with such things as cabinets, doors, sometimes floors and more. Temperature extremes may necessitate the installation of more energy saving windows and exterior door to help with heating and cooling cost. One of the greatest reasons given for remodeling simply involves changing the look and feel of a room. This is especially true when it comes to kitchens and bathrooms. Updating these rooms gives them a fresh new look and can help change them to better meet the needs of your home. Not only can this make you feel better about your home but can help to keep your home up to market value. This is very important when you may potentially be selling the home later. A reliable remodeling company can and will help you in determining what changes can be made and the best way to go about making those changes. For example: you may want to change the look of your kitchen with new cabinetry, but the remodeling company sees that just adding new cabinet doors and hardware will give you the look that you want. This can make a world of difference by saving you a great deal of money. No matter why you choose to remodel your home be sure that you have a remodeling company that understands your needs and desires. Let The Novak Group show you how a remodel can make all the difference in the world!